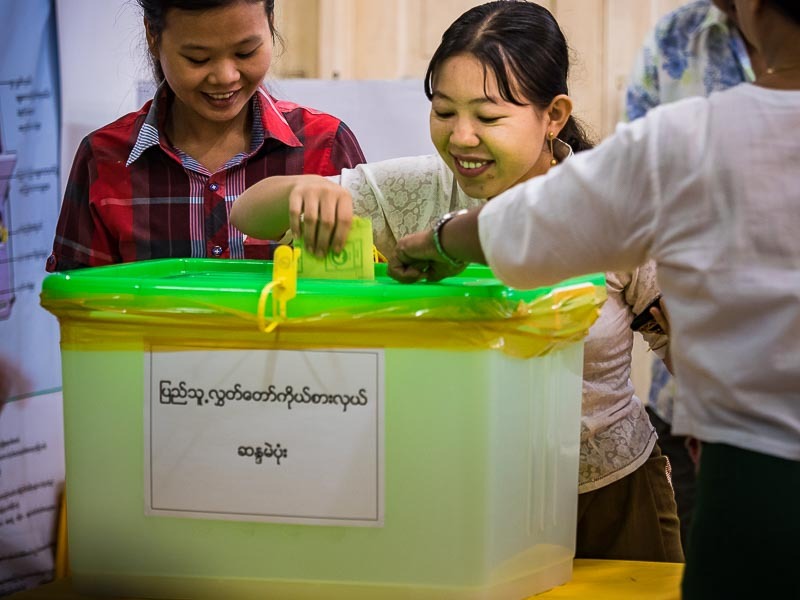 Women vote in Yangon Sunday. Millions of people voted in Myanmar Sunday. It was the country's most free, most fair, most competitive election in 50 years. It was historic. 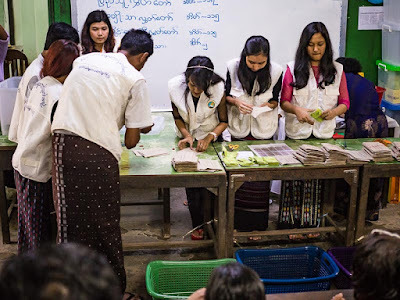 I covered election day from Yangon. I spent the day traveling to polling places throughtout the city and found lines were long throughout the city. The National League for Democracy, Myanmar's leading opposition party, was well organized throughout the country. 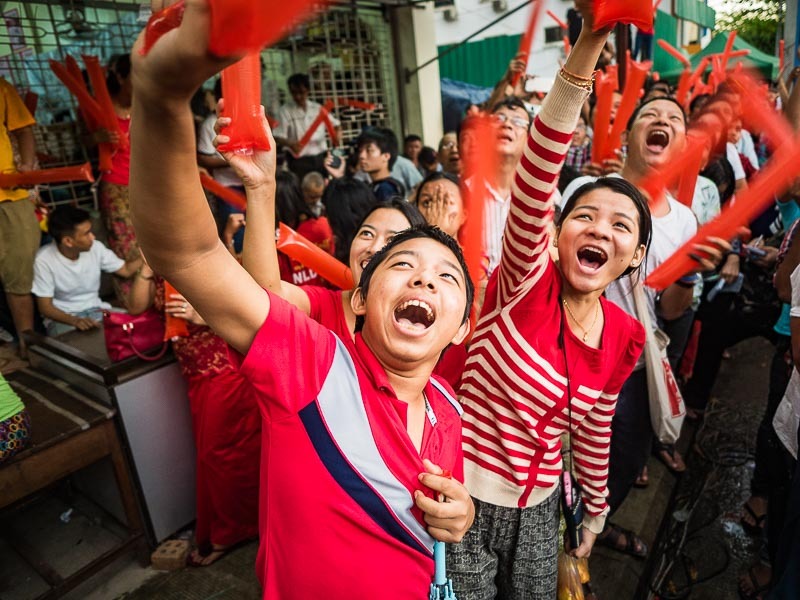 Most of the people I talked to said they were going to vote for the NLD. The exit polls, such as they are here, bore that out. As much as 80% of the vote went to the NLD. They are predicting they will capture 70% of the seats in the national legislature. Picking up a ballot in a Buddhist temple north of downtown Yangon. The polls were open 6AM to 4PM. 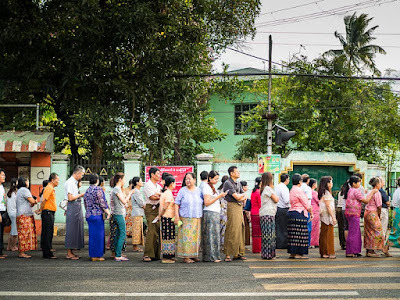 People showed up early in Yangon and by 2.30PM most of the polling places were pretty quiet. 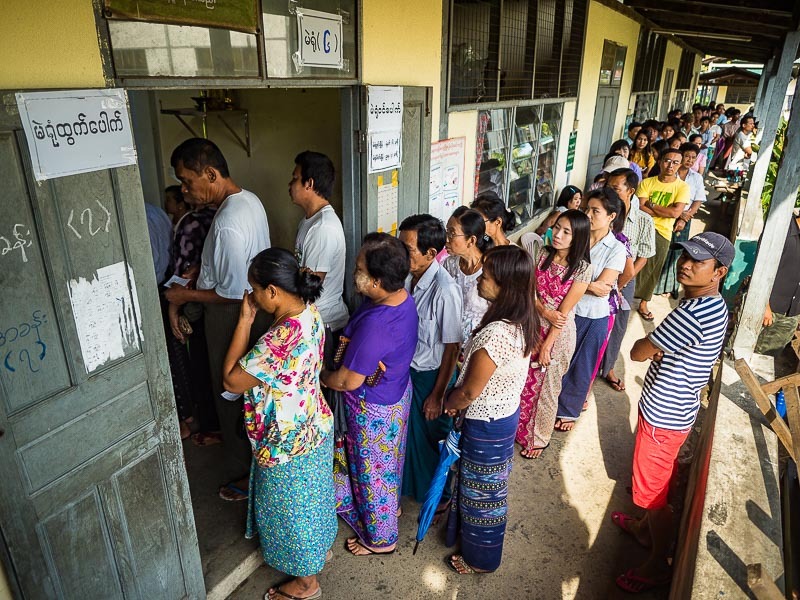 There were long lines in some of the rural areas though, and polls stayed open late to allow for people in line to vote. As soon as the polls closed, elections workers in the polling places started counting the votes. Each vote was counted by hand in front of elections' observers, party representatives and the media. 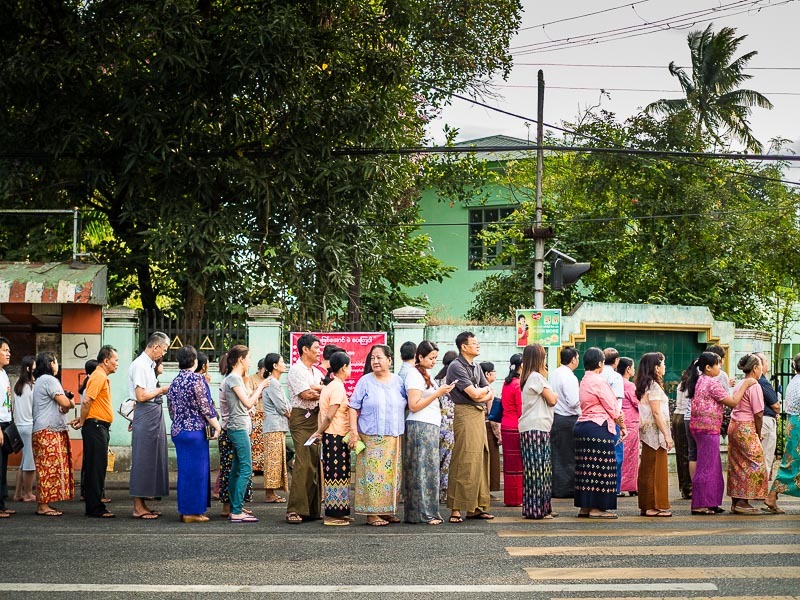 By 3PM, before the polls even closed, a large crowd was forming in front of the NLD offices. They started celebrating their expected victory early. It was a joyous crowd, people chanted "NLD! NLD!" over and over again. They sang party and Myanmar rap songs. 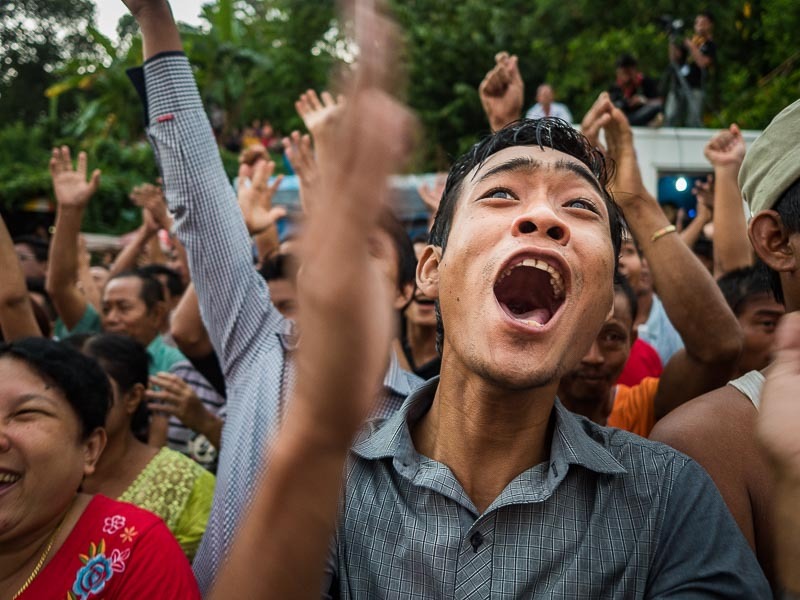 They were hoping to hear their idol, Aung San Suu Kyi, but she did not come to Sunday's celebration. 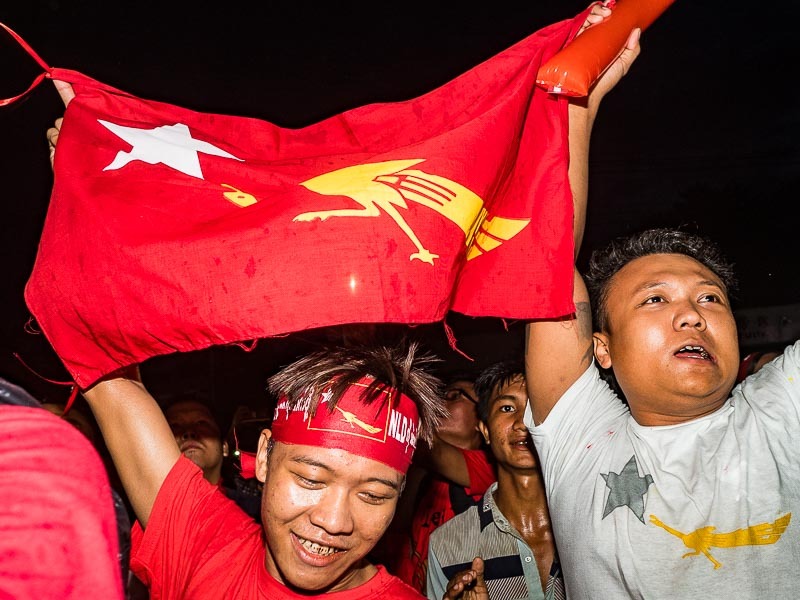 The scene in front of NLD headquarters. Many in the media chased Aung San Suu Kyi all day. She's the light that shines on Burmese democracy. I made a decision Saturday to not chase her. There were hundreds of photographers (TV and still) at her polling place and in her caravan to her legislative district, about two hours south of Yangon. I thought my time would be better spent working away from the media scrum, photographing places other photographers ignored. That's why you won't find election day photos of "The Lady" in my archive. 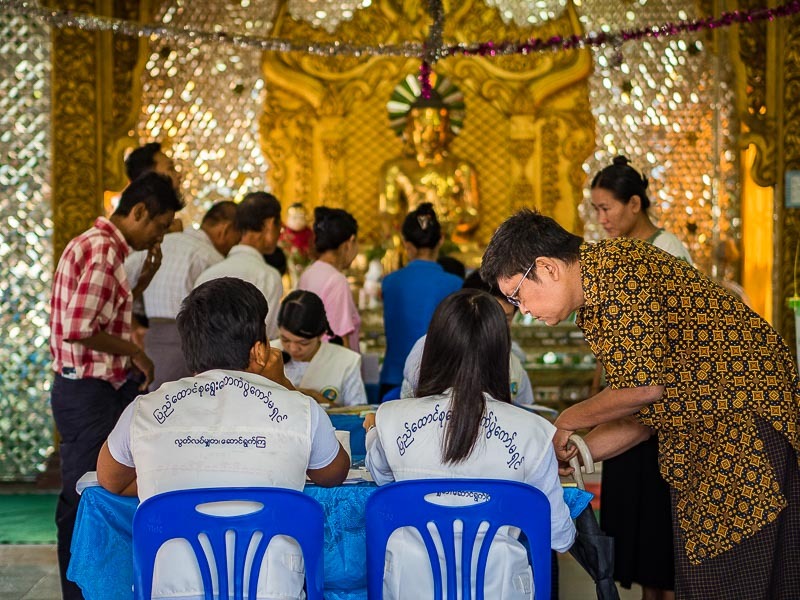 There are more photos of Myanmar's election day in my archive or available from ZUMA Press. This is my last post from Yangon. I return to Bangkok tomorrow and will resume regular posting when I get back.